American SensoRx, Inc., has invented the InspectRx® High Speed Vision System and the SpectRx NIR System. The corporation is primarily engaged in advanced technology applications offering customers unique solutions in the fields of Pharmaceuticals, Medical, Cosmetics, Microelectronics, Automotive, Beef, Pork and Poultry products. 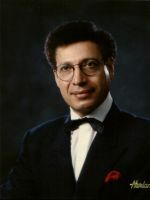 Dr. Sabrie Soloman, Chairman & CEO, founded American SensoRx, Inc, in 1994. He is considered an international authority on advanced manufacturing technology and automation in the filed of microelectronics, automotive, pharmaceuticals, medical, and food. He has been instrumental in developing and implementing several industrial modernization programs through the United Nations to various European and African countries. He is the first to introduce and implement unmanned flexible synchronous and asynchronous systems to the microelectronic and pharmaceutical industries and the first to incorporate advanced vision technology to a wide array of robot manipulators. The engineering and research personnel of American SensoRx, Inc., have graduated with multiple doctorates degrees from Columbia University (USA), Cambridge University (UK), Stanford University (USA), and Johns Hopkins University (USA). Dr. Soloman has also founded the advanced technology program at Columbia University - ME Department. He is a professor of Advanced Manufacturing Technology at Columbia University - authored six engineering books on advanced technology, and a handbook on Sensors, Vision, and NANO-MEMS technology published by McGraw-Hill. Advanced Vision Technology for Industrial Applications by Sabrie Soloman, Ph.D., Sc.D., McGraw-Hill - in Press.